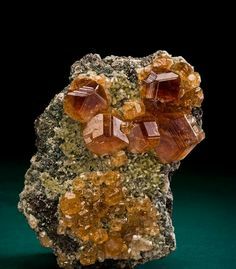 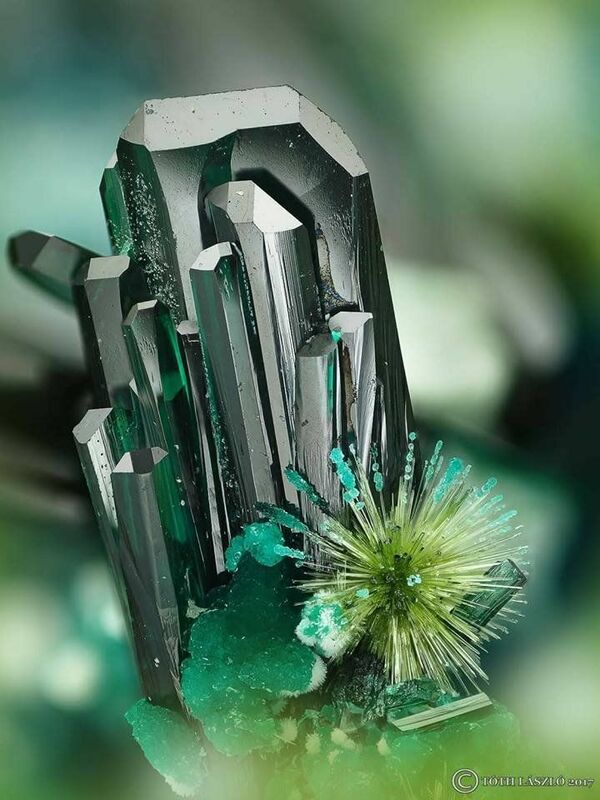 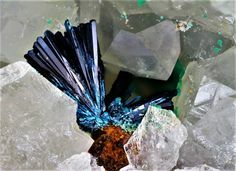 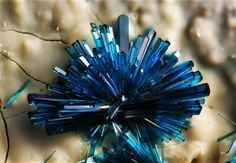 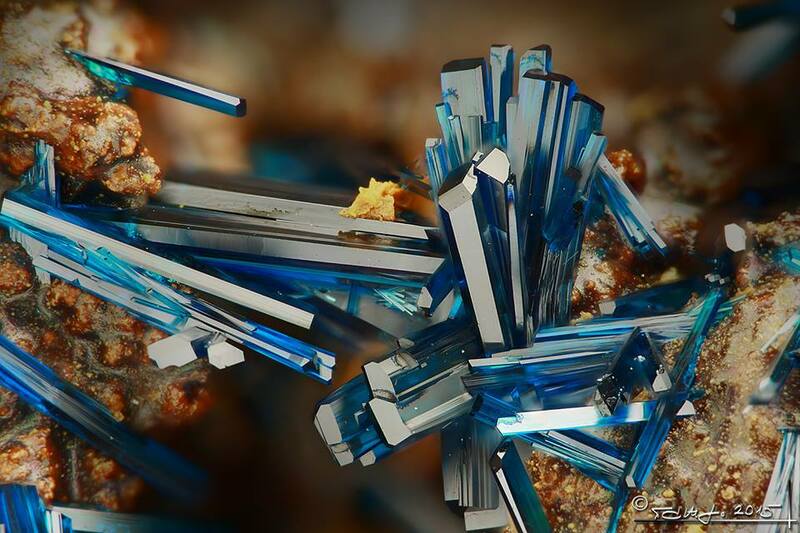 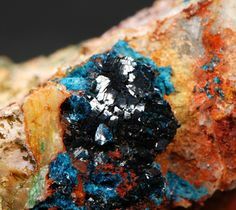 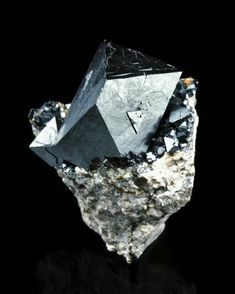 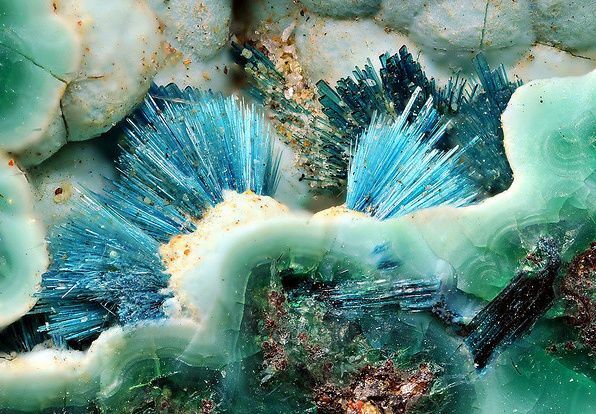 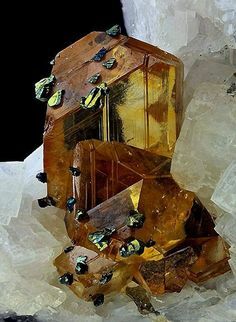 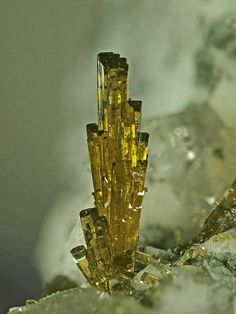 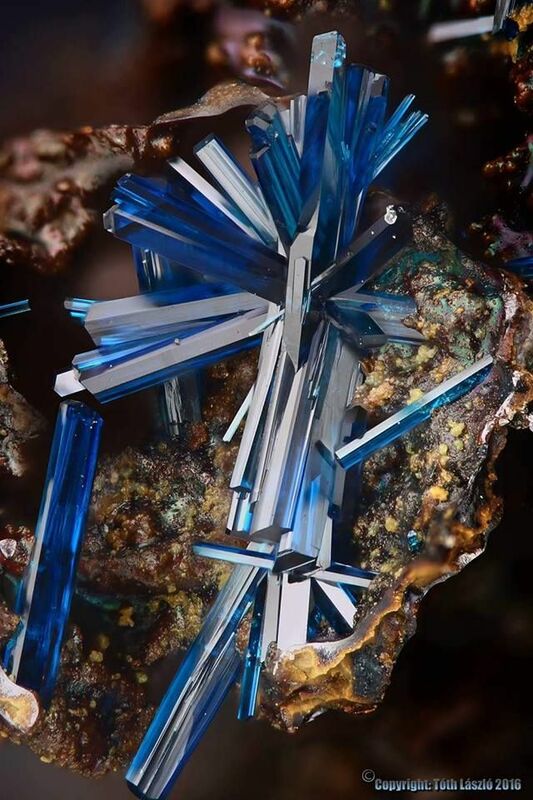 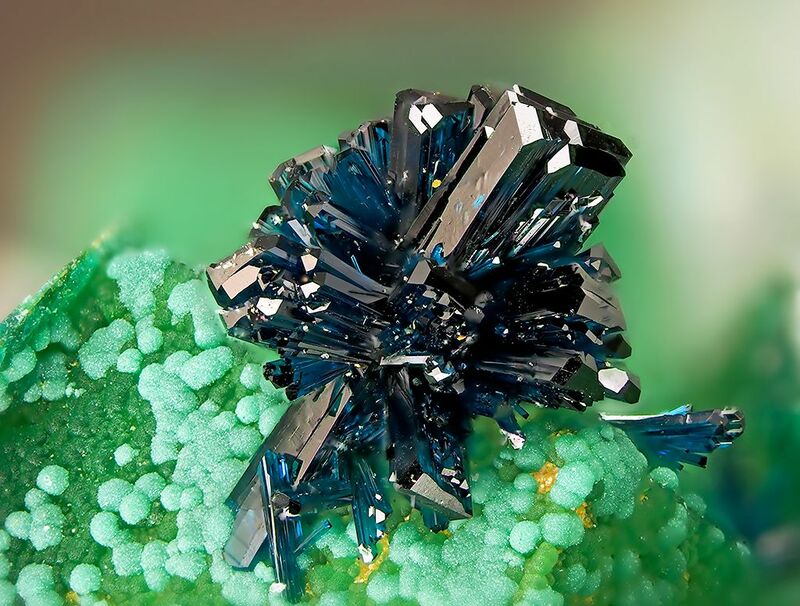 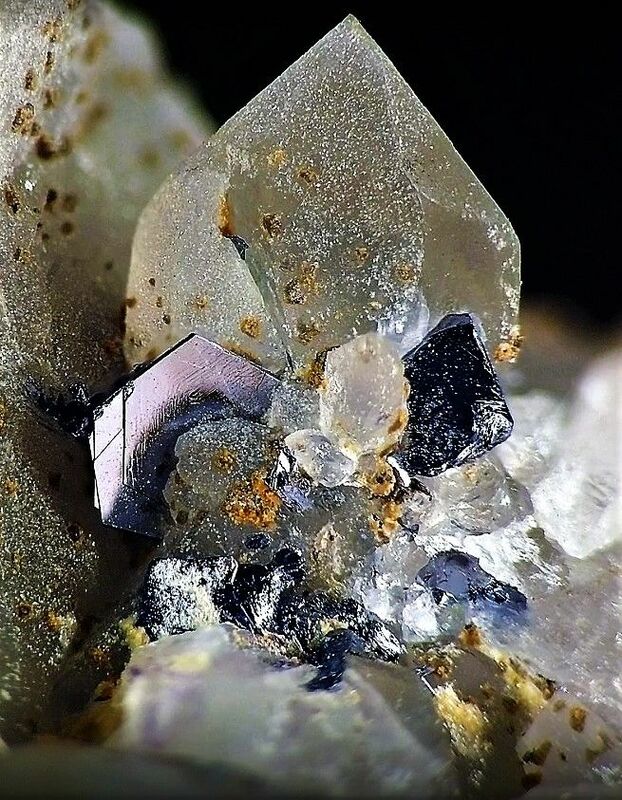 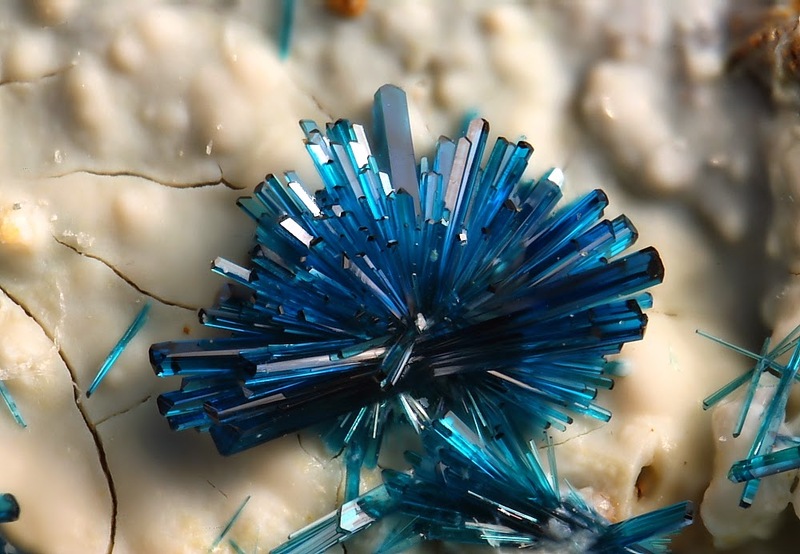 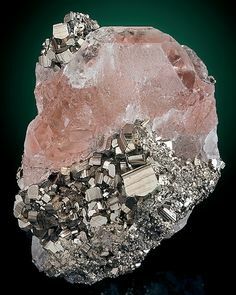 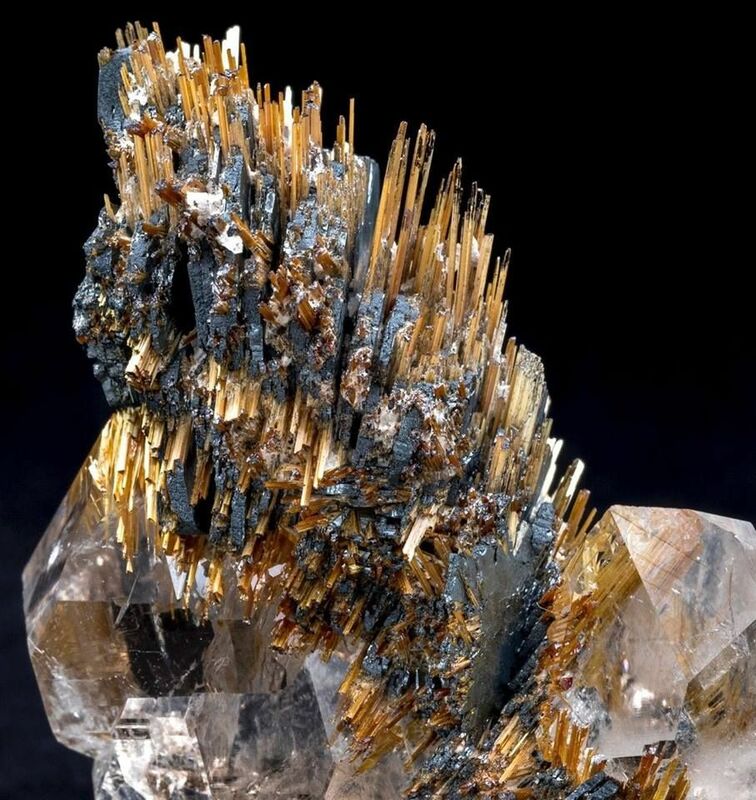 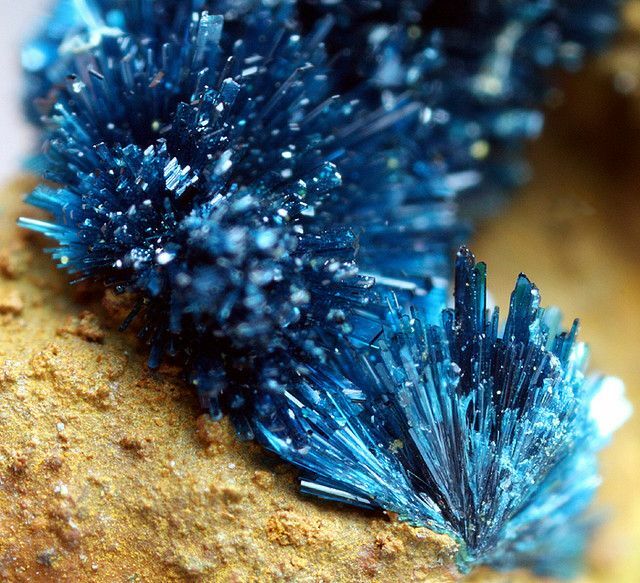 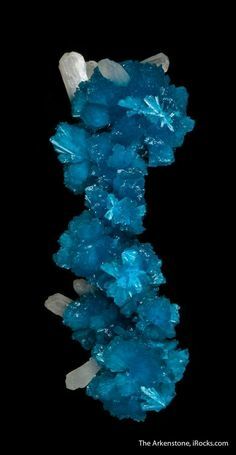 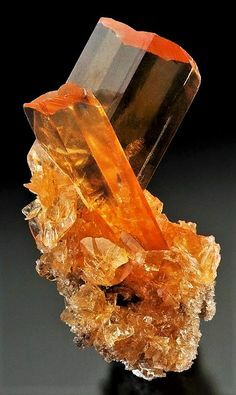 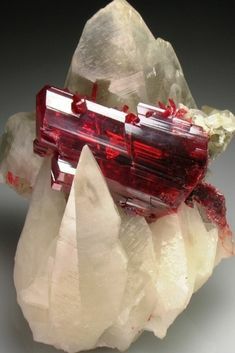 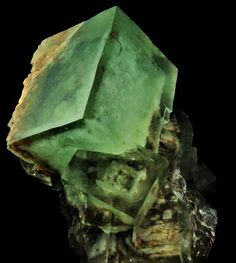 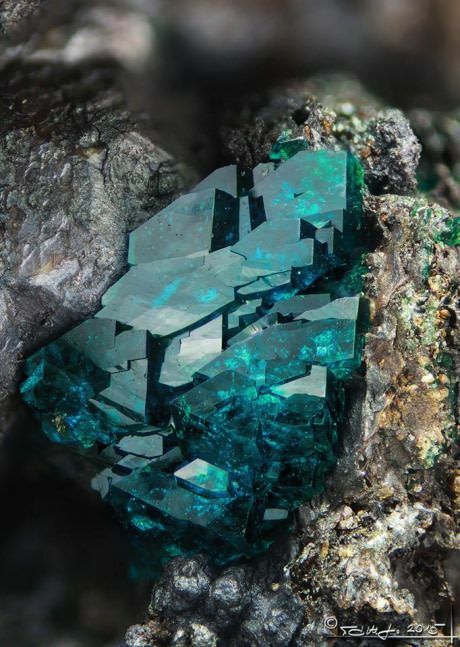 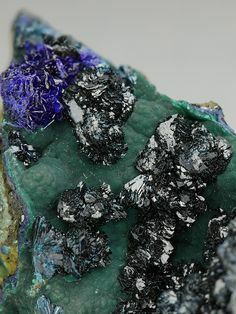 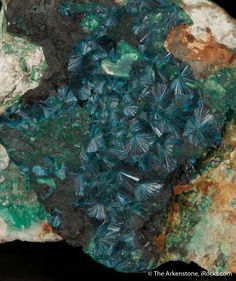 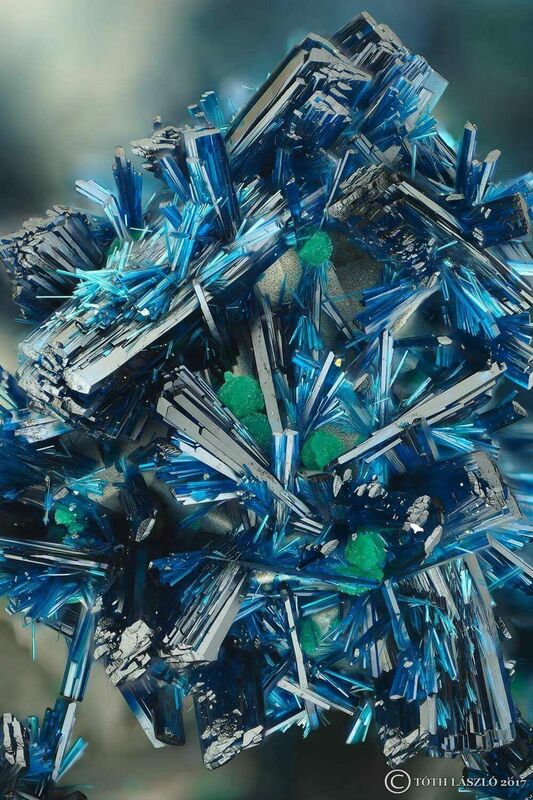 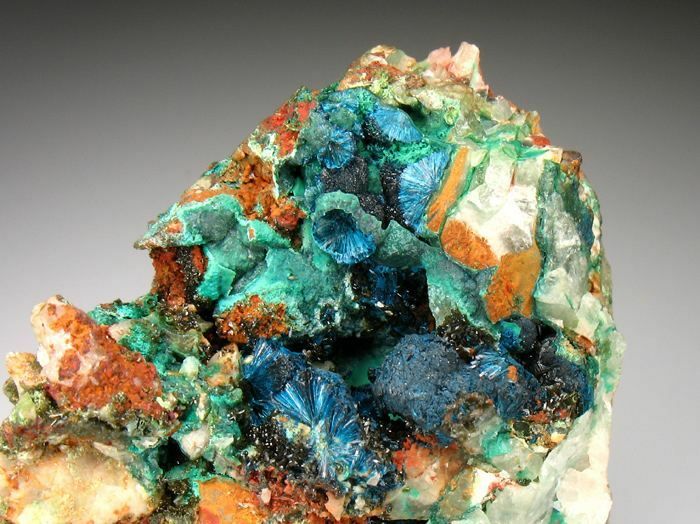 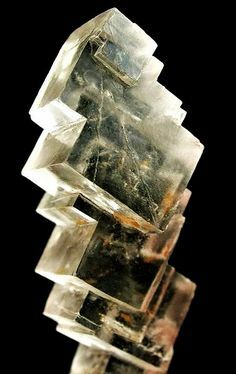 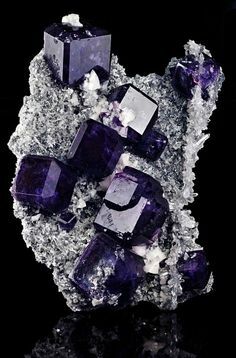 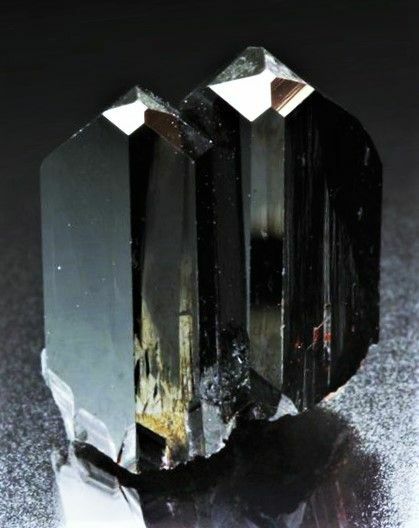 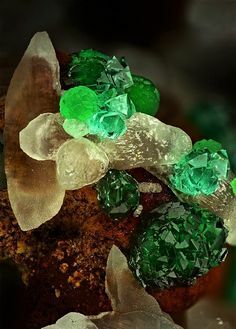 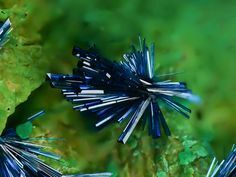 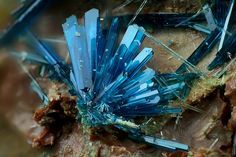 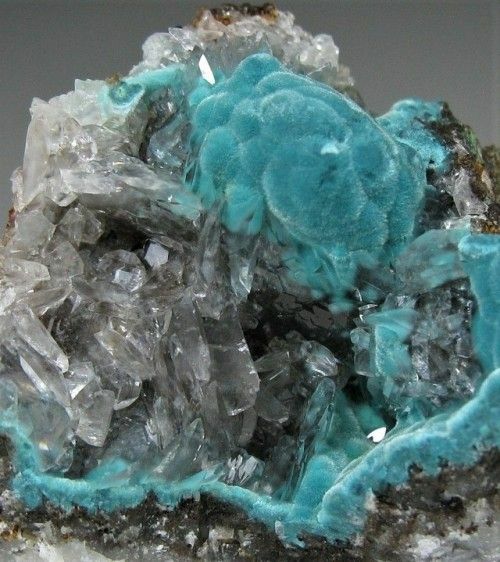 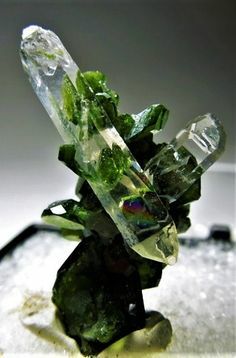 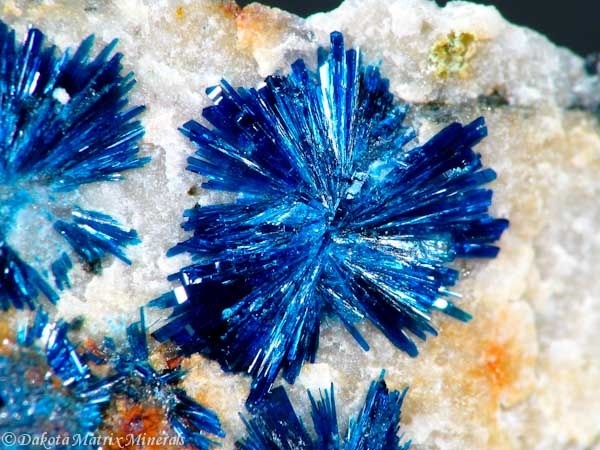 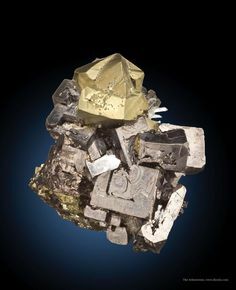 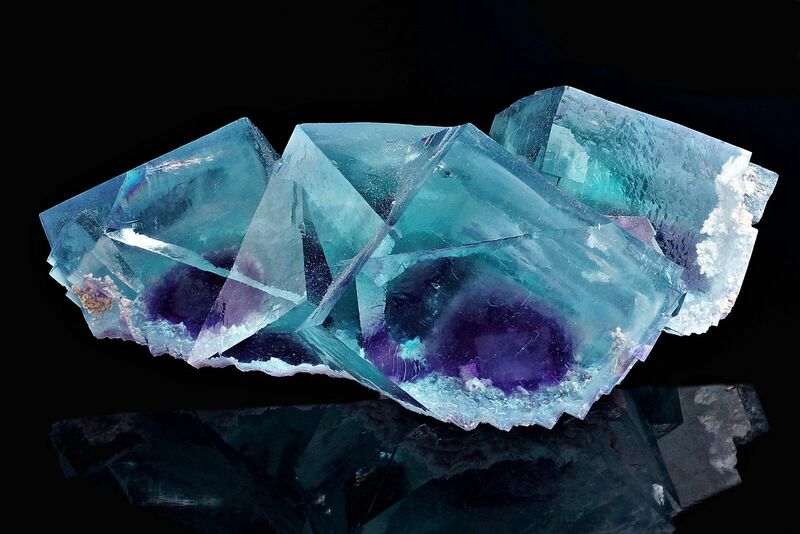 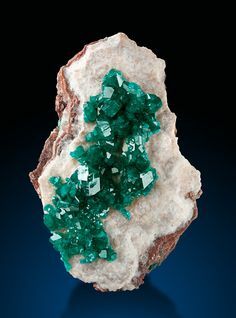 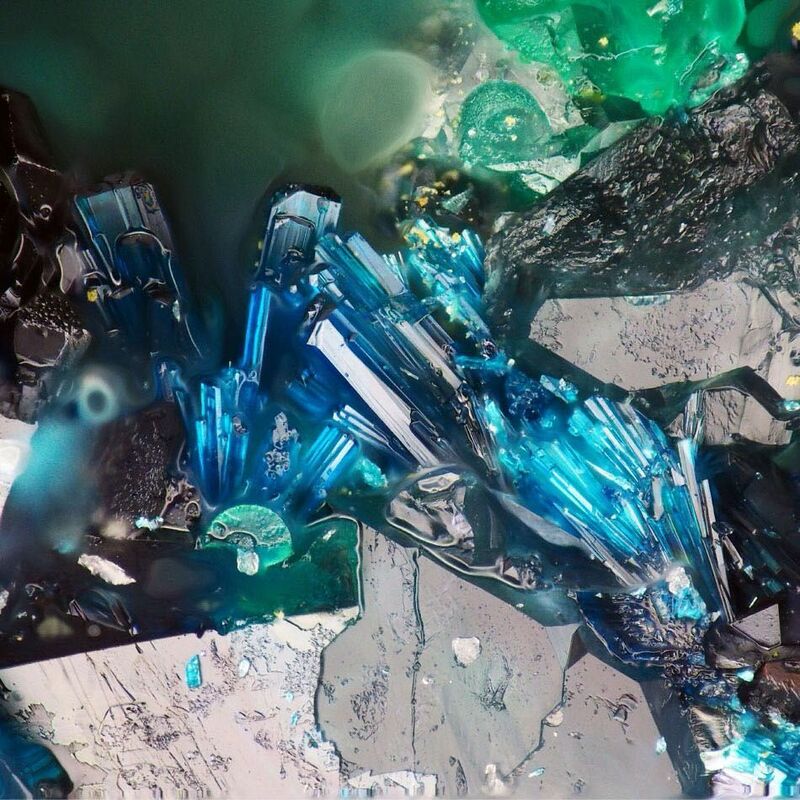 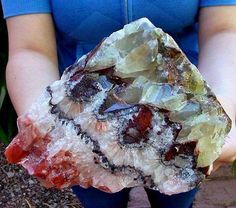 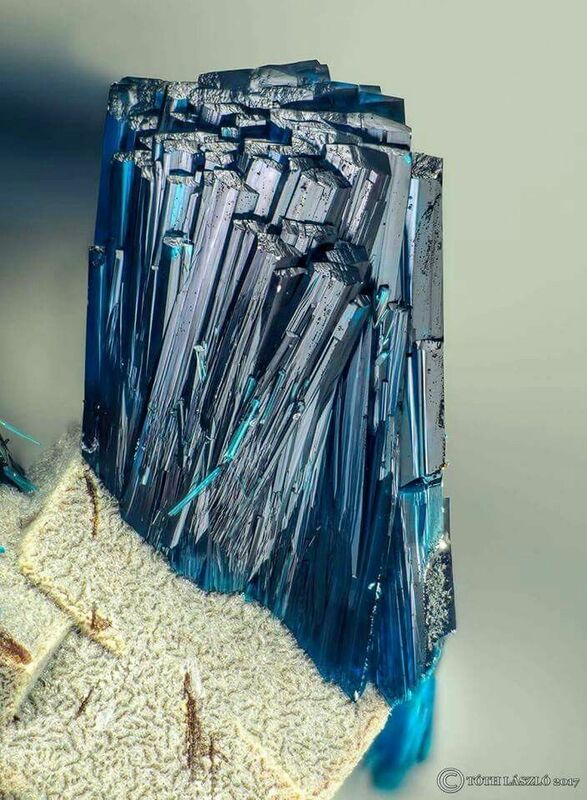 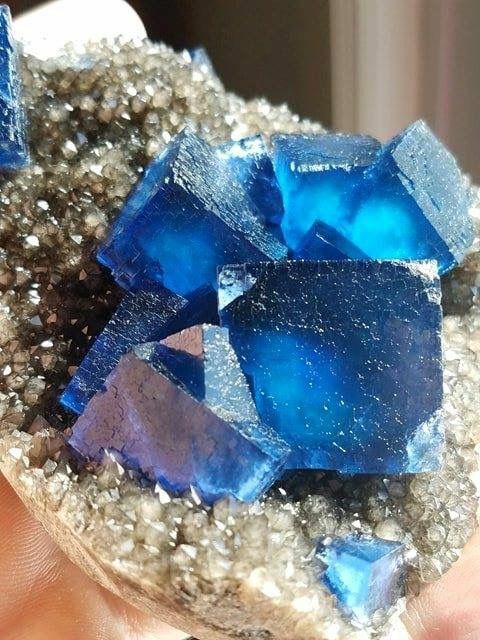 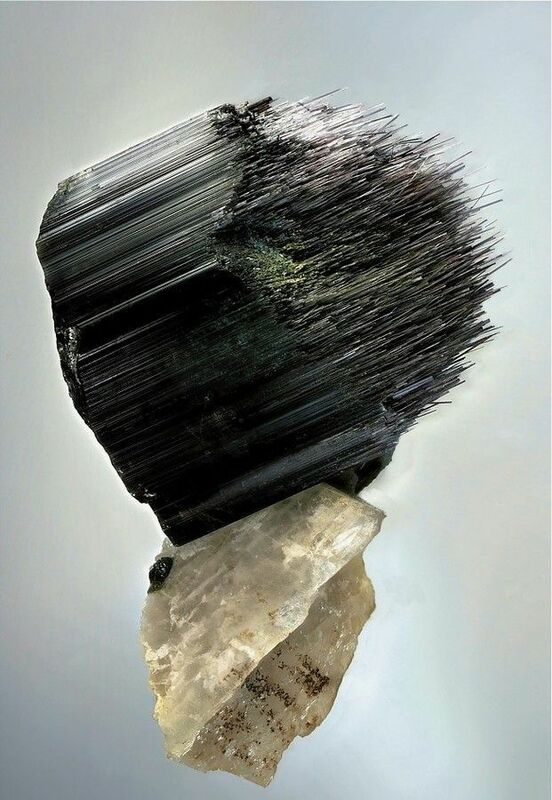 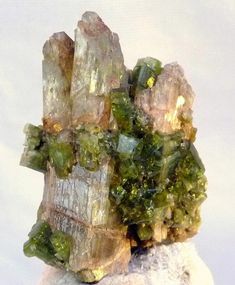 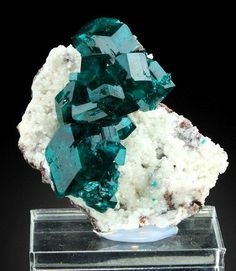 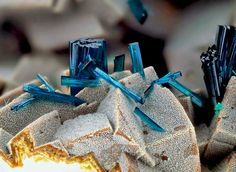 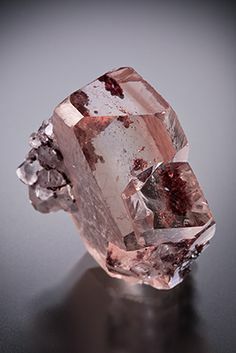 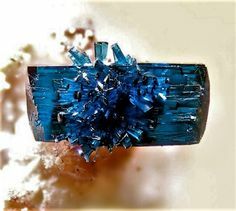 Clinoclase crystals from Grube Clara mine, Germany. 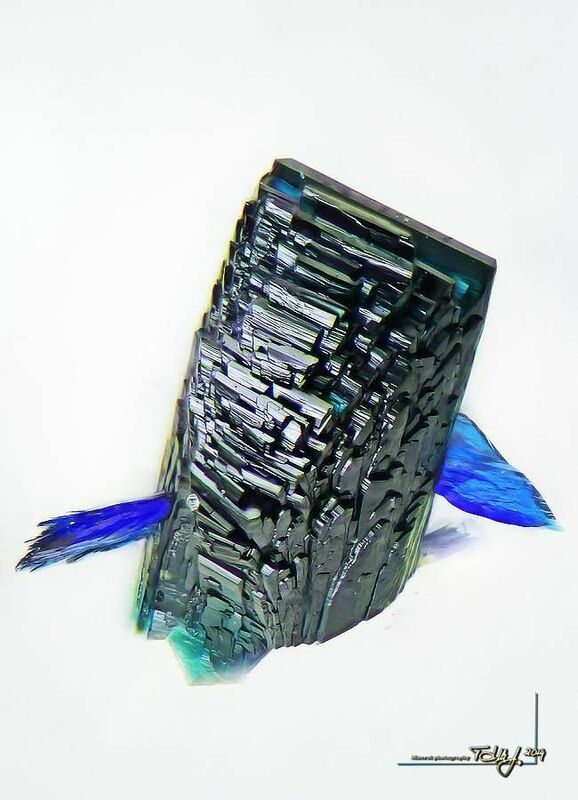 Clinoclase, Field of View: tall, Grube Clara, Germany // Lajos Varga-Kövecses collection, Toth Laszlo photograph. 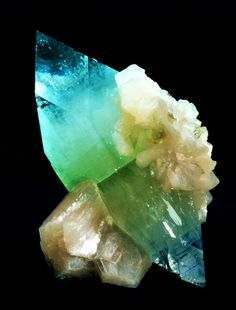 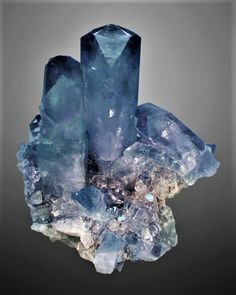 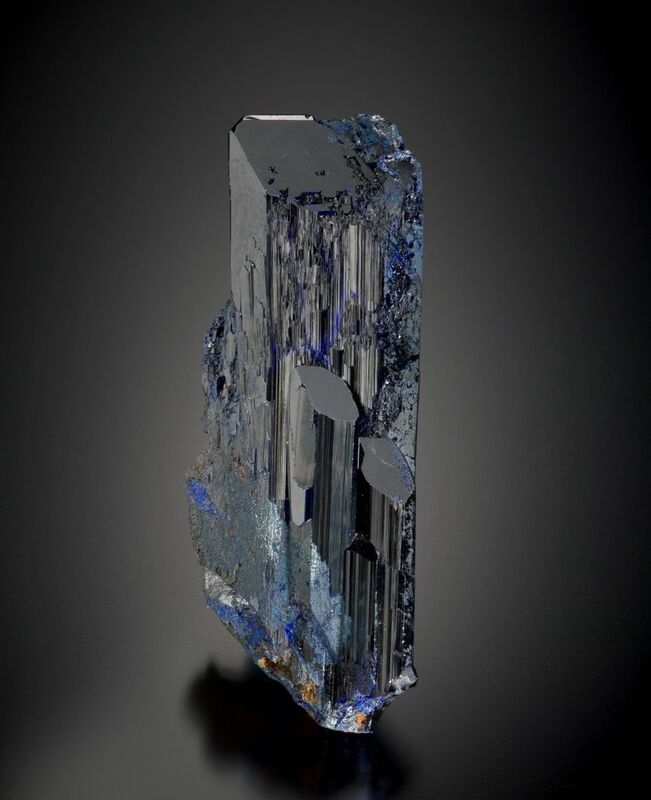 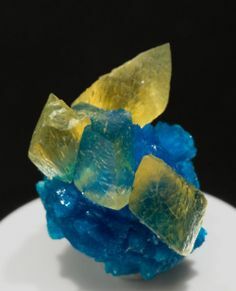 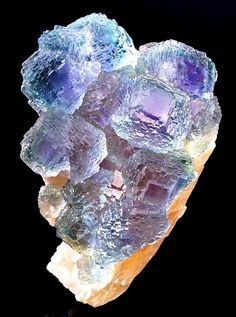 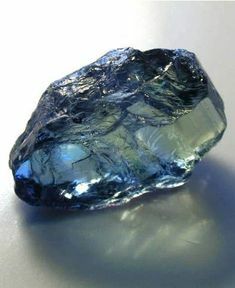 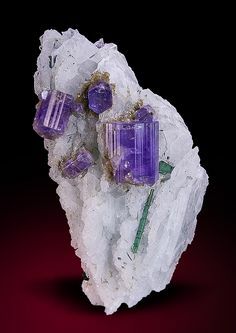 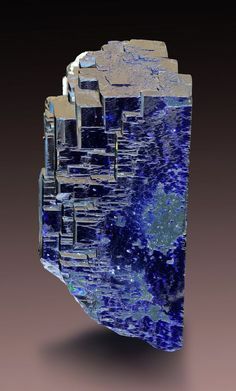 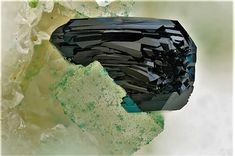 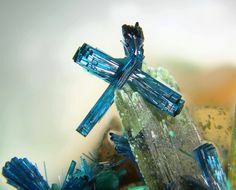 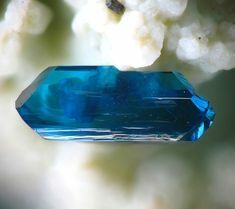 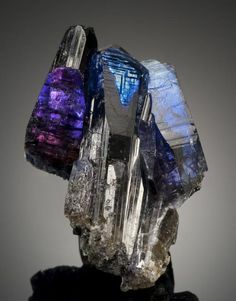 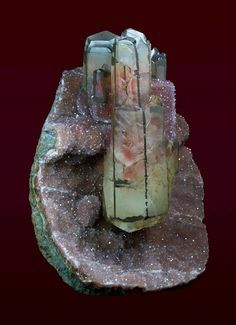 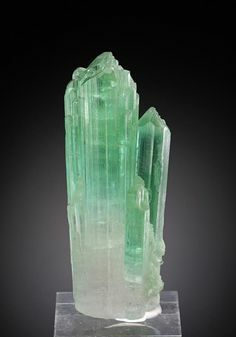 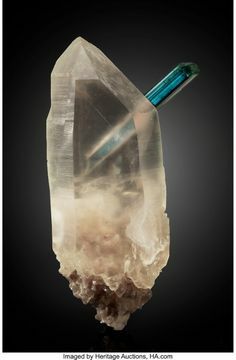 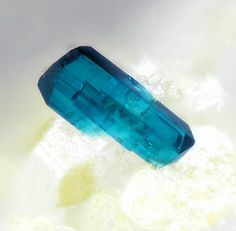 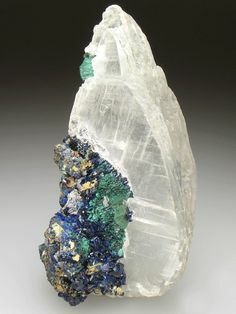 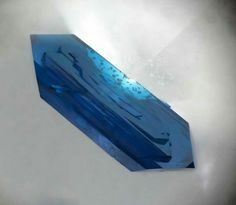 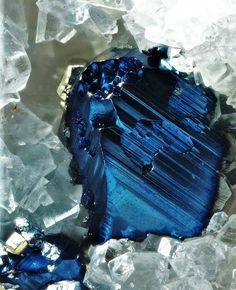 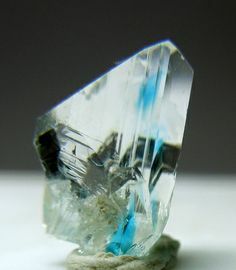 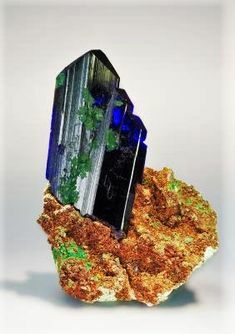 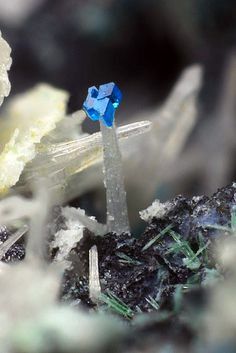 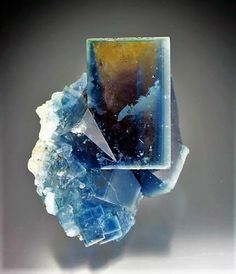 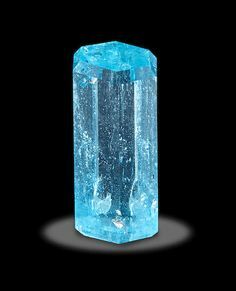 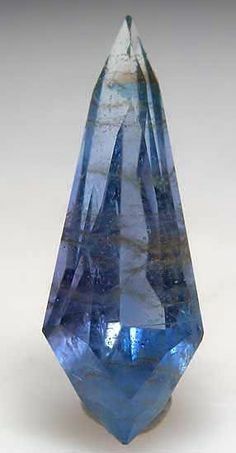 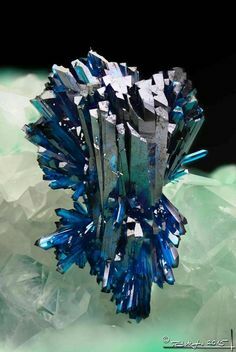 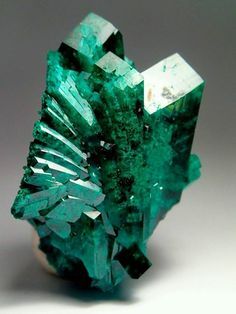 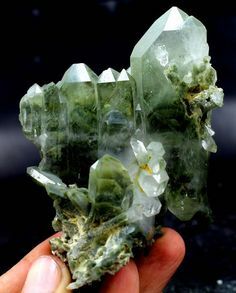 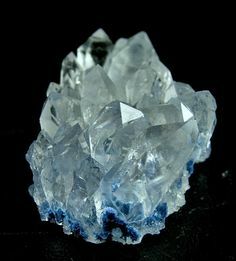 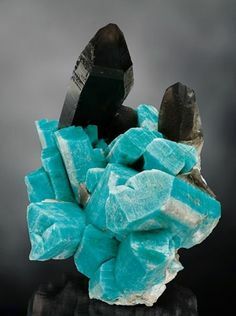 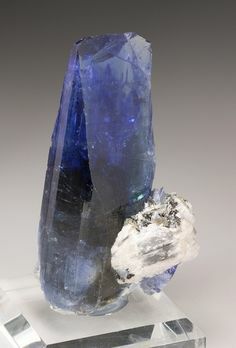 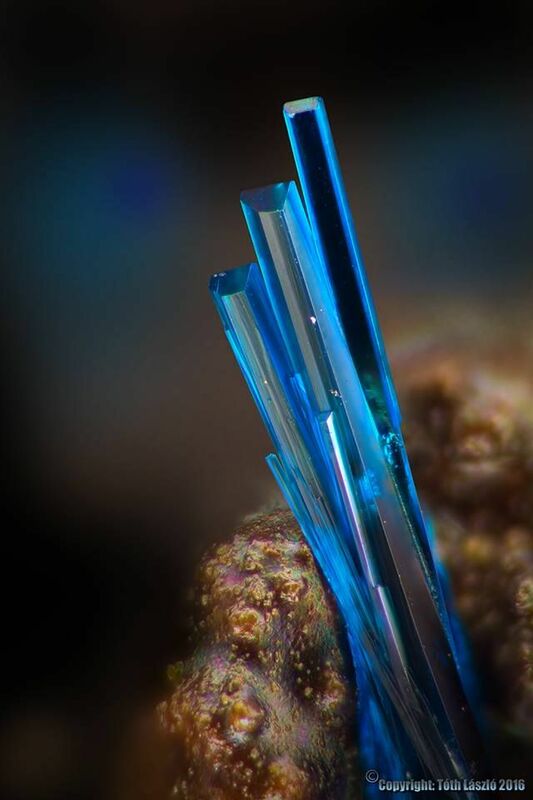 mm Cerussite crystal with blue Langite crystal on the termination. 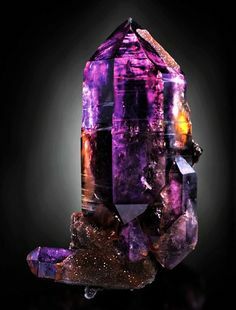 Brandberg Amethyst with Iron-stained Drusy Quartz - from Namibia. 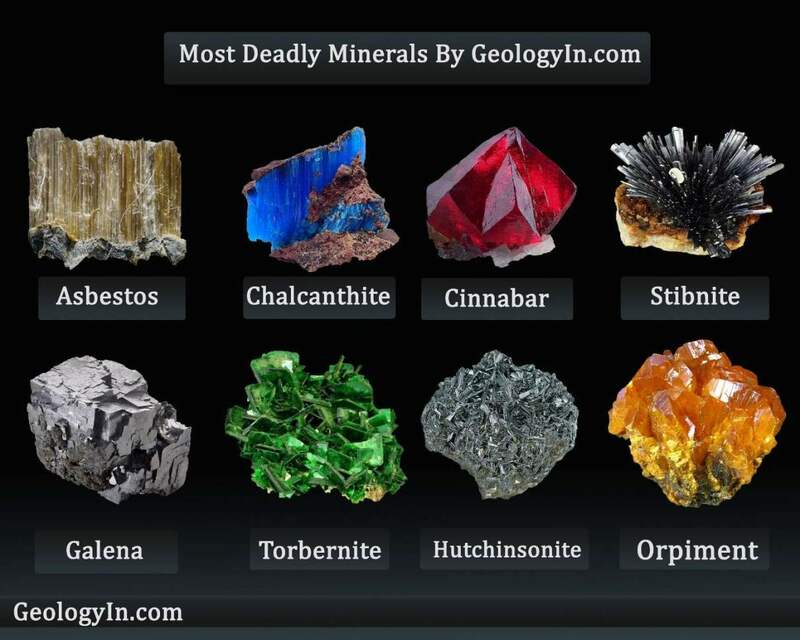 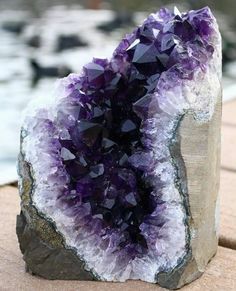 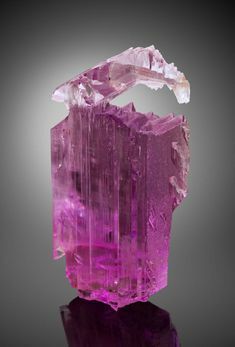 This is one of my favorite localities of Amethyst. 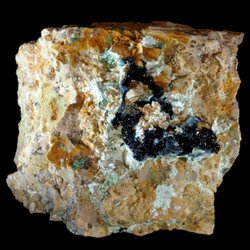 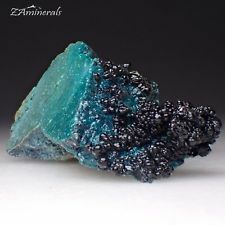 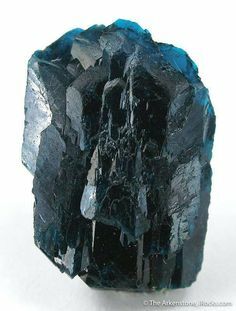 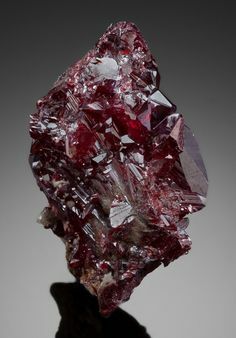 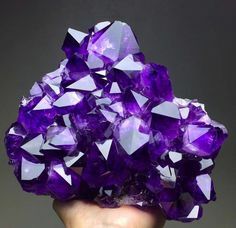 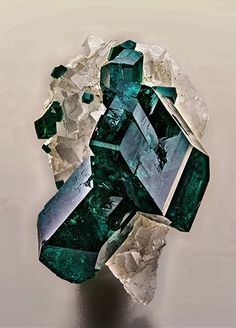 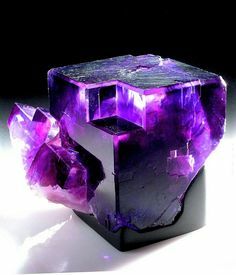 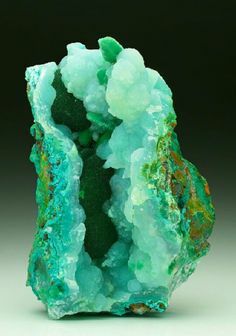 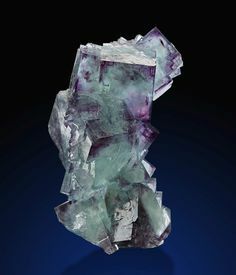 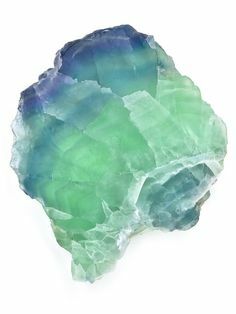 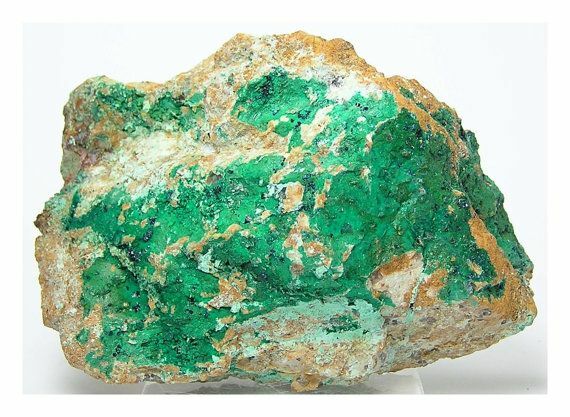 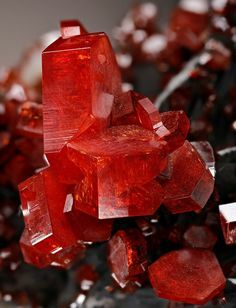 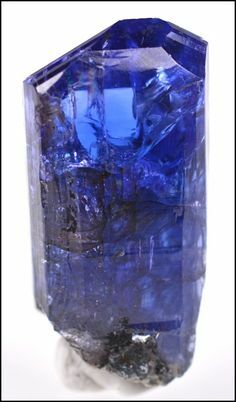 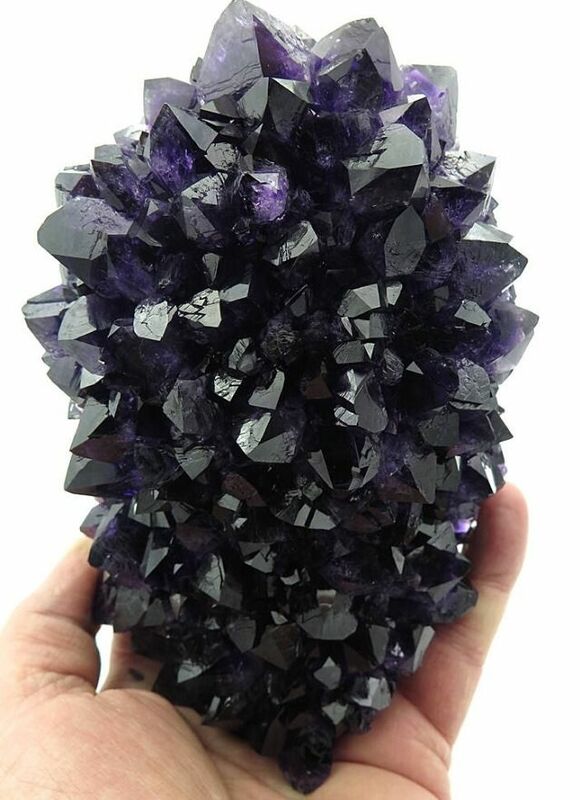 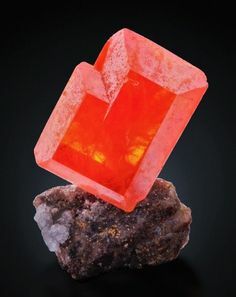 What an intense looking stone.